All are welcome on First Tuesday in May, the 7th at 1800, starting on the Green. 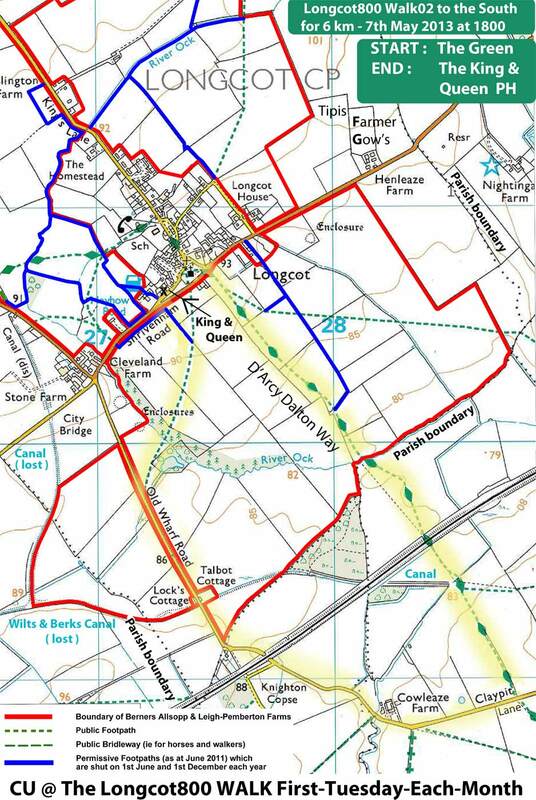 This time for a longer circular trail of 6 km around South Longcot ; and ending with good cheer at The King & Queen, where maps are available. By popular demand, we invited Edward Leigh-Pemberton and he now plans to join us again to guide and discuss farming nad wildlife with our walkers on Walk02.